What specific functions are expected of independent directors? How these functions fit with the unitary board structure? Why independent directors are seen as inherently necessary for corporate governance? Whether board independence can be compatible with other governance mechanisms? How mainstream company law is applied to independent directors. The analysis leads to a series of solutions designed to eliminate the real and perceived obstacles to the proper functioning of independent directors. 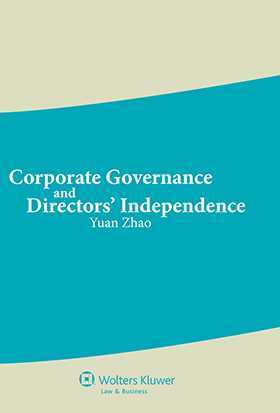 In the process, the author discusses such critical ‘moments’ in corporate governance as monitoring, public relations, social responsibility, shareholder activism, the danger of ‘groupthink’, remuneration, collective liability, and codes of conduct. The discussion and analysis chart a course through which independent directors can better serve the goal of improving the system of corporate governance. As such, it will be greatly appreciated by investors, corporate counsel for institutional investors, and policymakers and academics in relevant areas of both business and law. Chapter 6 Independent Directors’ Exposure to Legal Liability.